I drove straight from my NEC week to London to join Jennie and Laurence at the hotel next door to London Excel. Very handy! We left our cars in the car-park the next day and walked over to the event, which was full of 100s of small (and large) stalls selling or demonstrating everything beauty/ therapy, from lashes to fake tan, teeth bleaching and massage. It was a bit freaky actually, customers stripping down to underwear that obviously wasn’t meant to be seen by anyone to get spray tanned in tiny upright popup corner booths as everyone else squeezed past. And the people sat with glowing blue UV bleaching hoses in their teeth looked straight out of the Matrix! 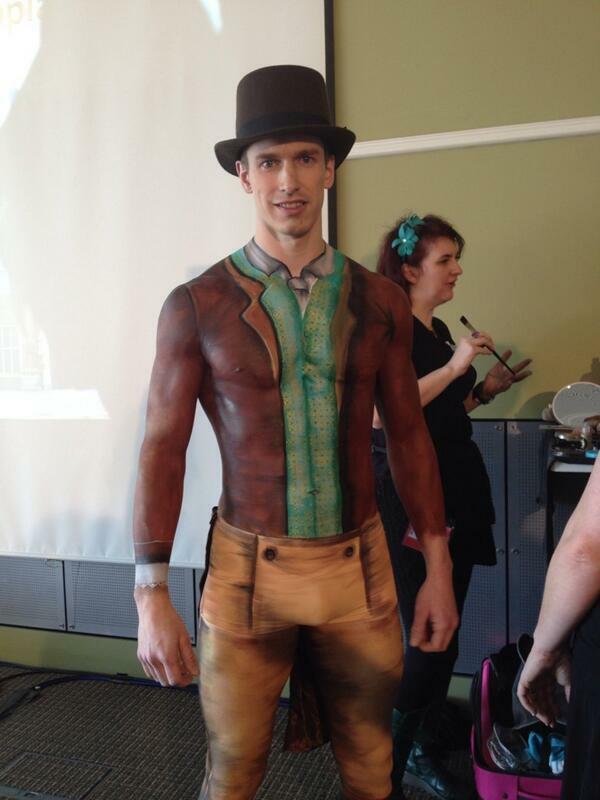 We had been invited by hosts WarPaint Magazine, who asked us to lecture/ demo on how we’d created our popular Mr Darcy body paint, using all Cameleon paint products and brushes. It was so warm and sunny Laurence got too warm and had to air on the lovely balcony over the river. After the class we finished decorating Laurence, then all walked the main floor for a while. 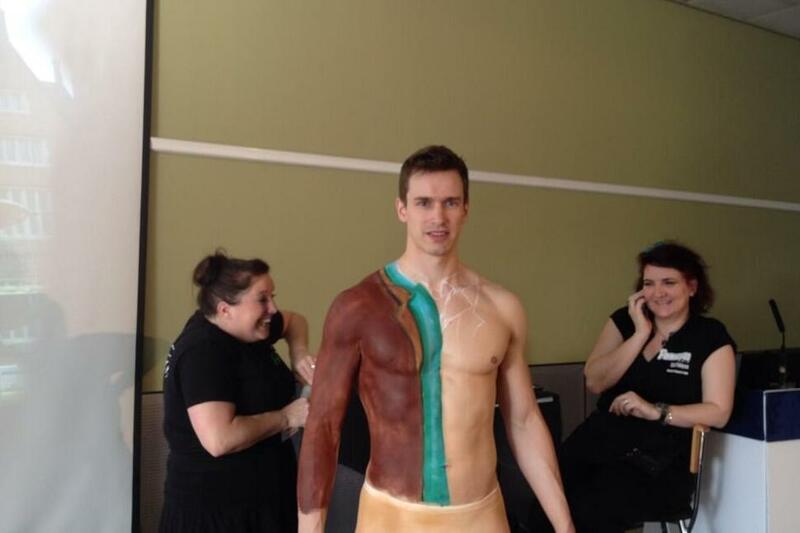 Interestingly we walked behind him, handing out Paintopia flyers, and could see the reactions of the crowd that did and didn’t spot that he was painted which was amusing. 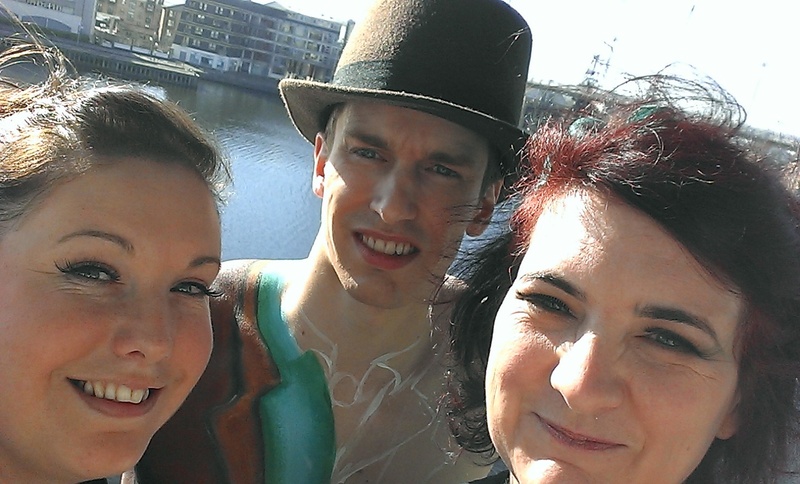 We dropped in on the body paint competition and were delighted to hear Angela Youngs won! Huge thanks to Warpaint Magazine for a really interesting day!